Students from the ICMP go on to do great things after they graduate, creating successful careers in music, and we love celebrating their achievements. This is the latest instalment of our series of ‘Alumni Spotlights’, in which we talk to one of our alumni about what they’ve been up to since graduation. Q: What have you been up to since you left the Institute? Over the next year, I started doing more high-end functions and began teaching at a higher level which enabled me to have much for financial stability and freedom. Through meeting the right people at high end jobs, I was given the opportunity to do backing vocals for legendary band The Brand New Heavies and since then, every door I could wish for has opened up for me. It just takes one person giving you an opportunity where you can shine for your career to take the path you want! A: There have been far too many to narrow it down to one! I have to say that singing with Rita Ora at the Grand Prix in Abu Dhabi was pretty cool, as well as thousands of people singing along with us to 'Hold My Hand' at Parklife Festival with Jess Glynne, and most recently headlining Somerset House and singing on Jools Holland with Kwabs. I was lucky enough to be asked to sing backing vocals for the Brand New Heavies and Soul II Soul in Cape Town last December and it was a moment where I finally felt that I was achieving my dreams. Being asked to gig with both bands, overlooking the incredible Table Mountain in the glorious sun was proof to me that I wasn't faking it till I made it anymore and I actually had made it somewhere along the line. I felt very thankful at that moment. Q: Have you put what you learned at the Institute to good use? I would definitely say that what I learned at the ICMP has been useful in terms of professionalism and networking skills. I met a lot of people and my time at the Institute was where my confidence grew and I was shaped as a musician. 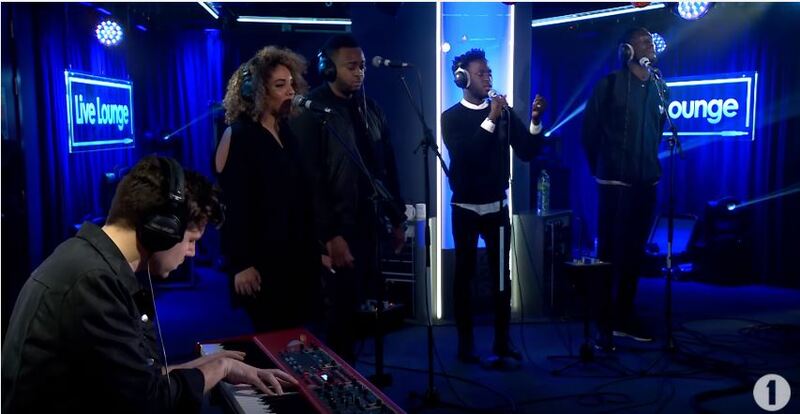 Lauren performing with Kwabs and Stormzy on Radio 1's Live Lounge. I'm back on tour with Kwabs this autumn, our first show kicked off in Manchester on the 11th! We have the UK tour this month and then the Europe tour in November. Also this month I am touring with Hurts which should be lots of fun and a great new experience! Q: What would you say to anyone just starting out at the Institute? A: I would say to enjoy your time here and try to experience all that it has to offer. Try not to miss lectures because you're hungover, try to take all the knowledge that your lecturers have to offer and look into the cool jobs they do! Equally, go to jam nights, go to gigs, get drunk if you want and have long chats with people you don't know because in a way, that is how life is afterwards! Being social is as much a part of this job as being great at your instrument, as even the best musician won't get booked if he/she isn't pleasant to be around. No one wants to spend weeks on a tour bus with an idiot!